The word of God will give you substance and strength. It will give you love and life. It will give you the best understanding of who you are as a child of God. Therefore it should not matter what others think about you when God has already determined who you are…beautiful, blessed and highly favoured. After all, other people’s opinions of you are none of your business. 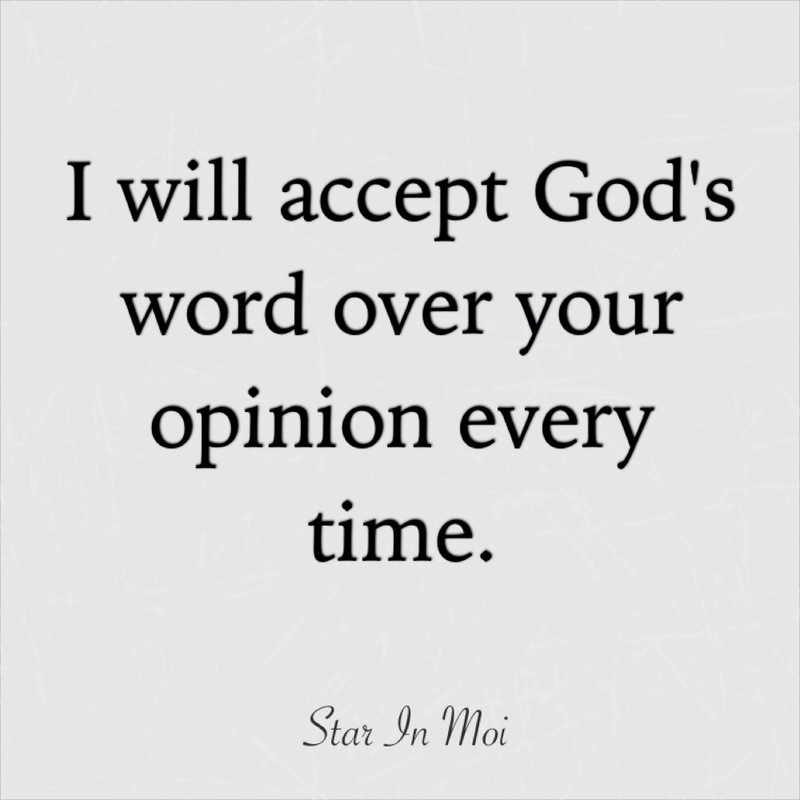 Choose God’s word over other’s opinions. Beautiful. Thank you! I am reflecting on this message. There are so many people in my life that I aim to please, to keep happy. But, I can’t let their opinions affect me. I can only hold myself accountable to God.